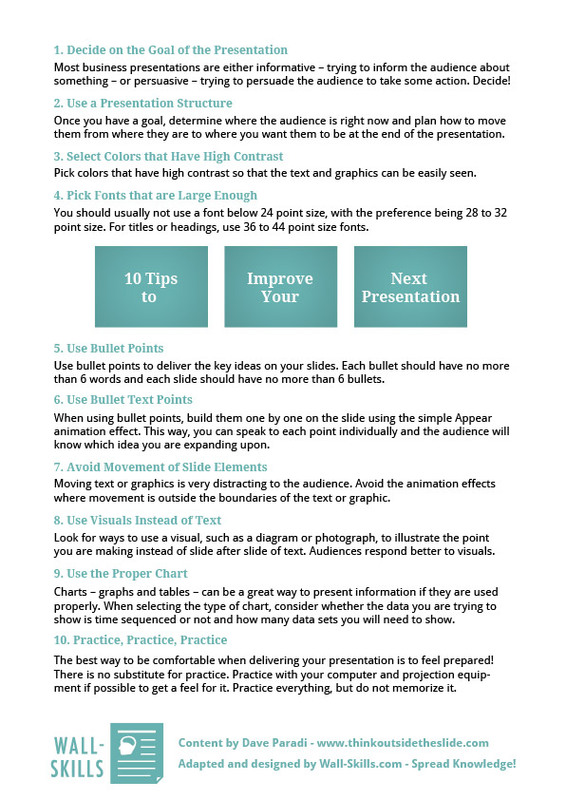 10 Tips on how to improve your presentation – adapted with the friendly permission of Dave Paradi. Dave has a lot of material on presenting and presentations. Check it out at http://www.thinkoutsidetheslide.com. There you can also find the original article.